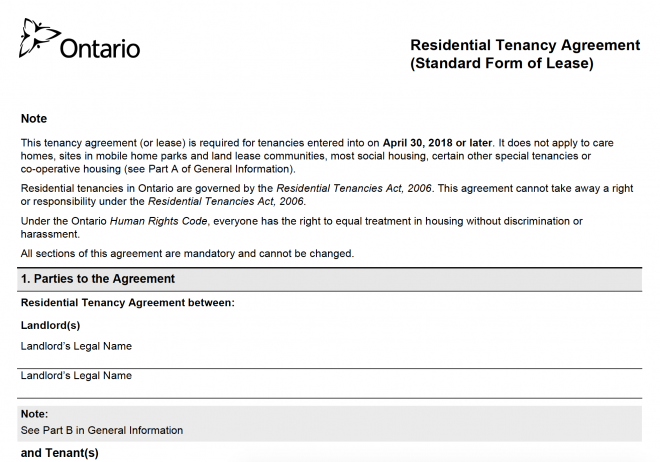 Province of Ontario Introduces Standard Form of Lease - Distinctive Advisors Inc.
As part of its Fair Housing Plan announced last spring, the provincial government has produced a 13-page standard form of lease for use by landlords across the province. The form and its terms will be enforced as of April 30, 2018 not only for purpose-built rentals, but also for private landlords. If you have any questions relating to real estate or leasing specifically, please don’t hesitate to Contact Us today.